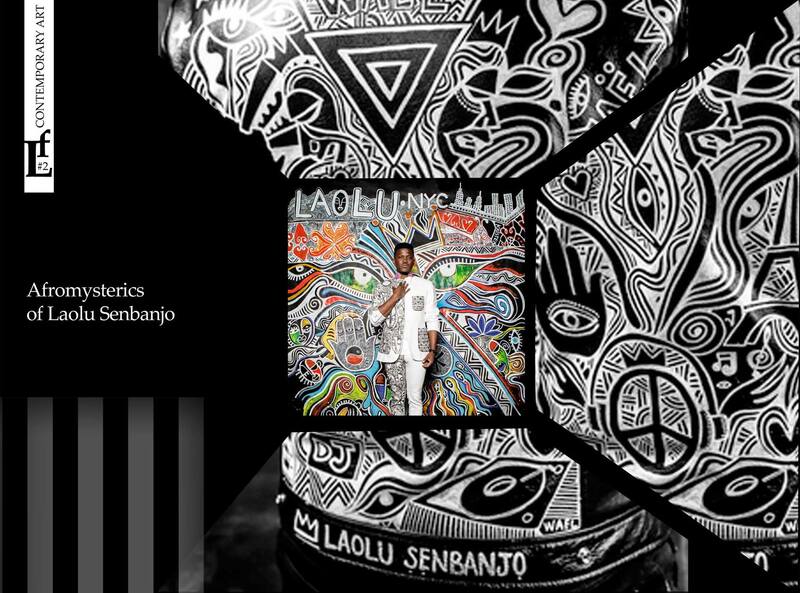 Afromysterics is the title of the creativity of Brooklyn artist of Nigerian descent Laolu Senbanjo. He created this term in 2007, to define the mystery of their works of art and music, going back to the heritage of Yoruba people who built one of the ancient civilization in Western Africa. The sacred art of his precursors is that fills Senbadzho’s works by special power and energy. A lawyer by education, who went completely into the creative process, the artist in his work continues to fight for human rights. Especially the topic of feminism is important for him. While still in Nigeria, he encountered with the amazing women who have achieved an equal position with men, and recognition of their personalities. The stories of these women are often the subject of his works. 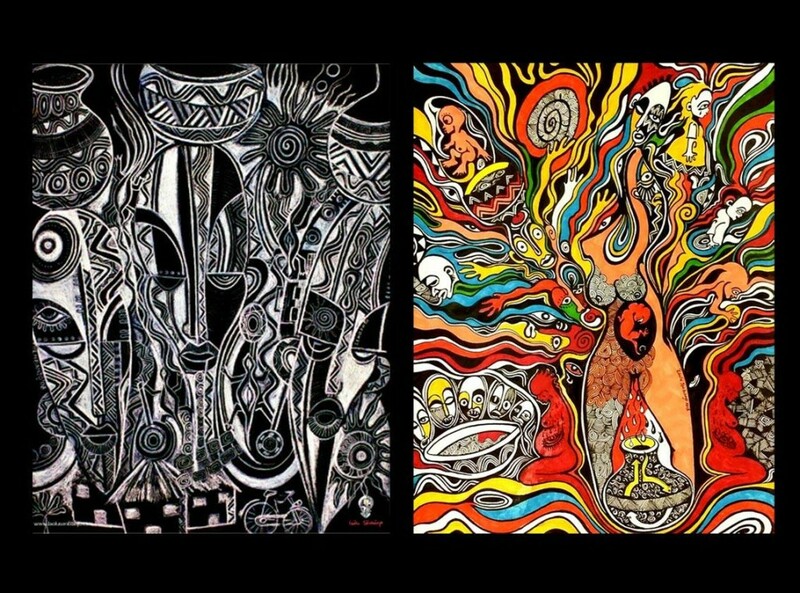 Although he is an artist and musician – self-taught, but that’s exactly what makes his art unique, fresh and original. The passion for music, according to him, is as exciting as the desire to express himself in the visual arts. But it only enriches his work, gives a special rhythm for patterns and smooth lines of his art. One image is embedded in another, interacts with it and forms a continuous stream of decorative, creating images. They are not frozen, these patterns like a visual cut of naked thoughts that just flow from one to the other in someone’s mind. His works are full of life, spirit and mystic. Perhaps that is whyknown brands strive to create collaborations with him. 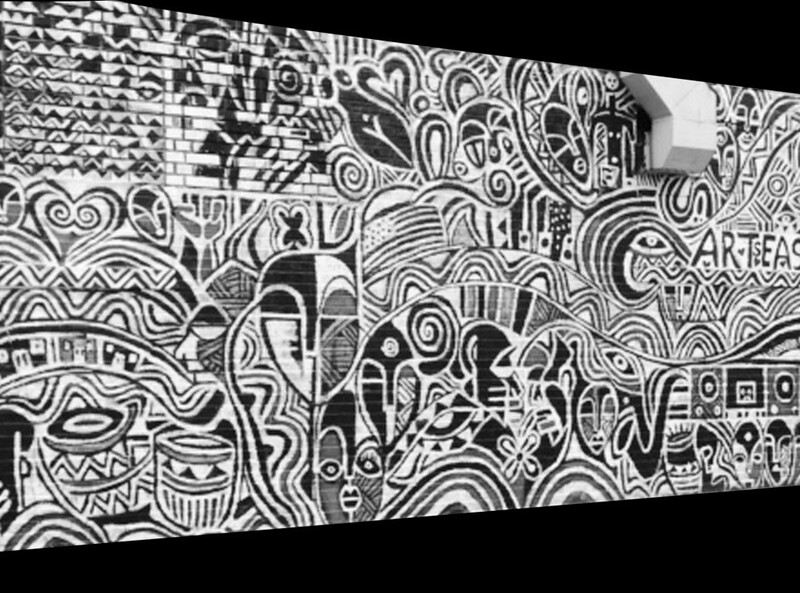 In 2011, he worked with Nike on the creation of shoes Air Max, decorated with his drawings. 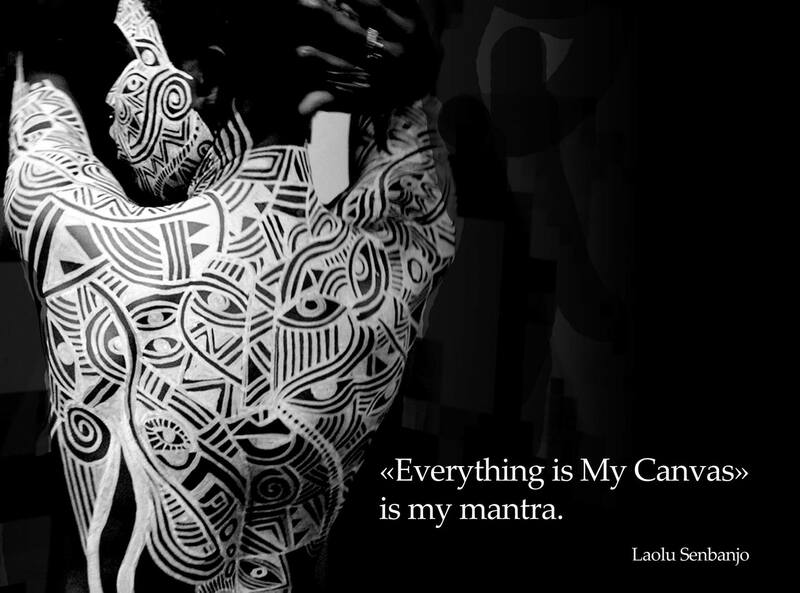 «Everything is the canvas», is my mantra, the artist says. 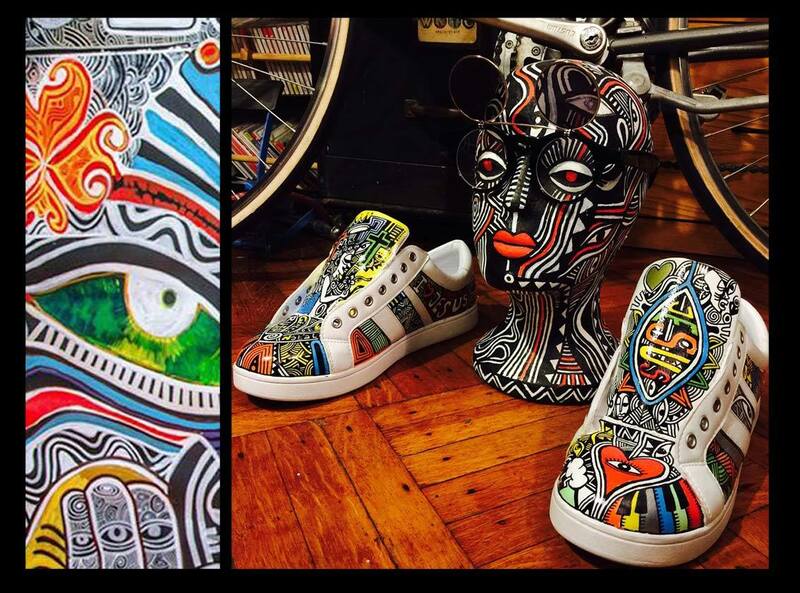 Therefore, shoes, clothes, murals, the human body, all around it can become a basis and a part of his art. Last interesting joint work was with the queen R’n’B Beyonce in her visual album «Lemonade». 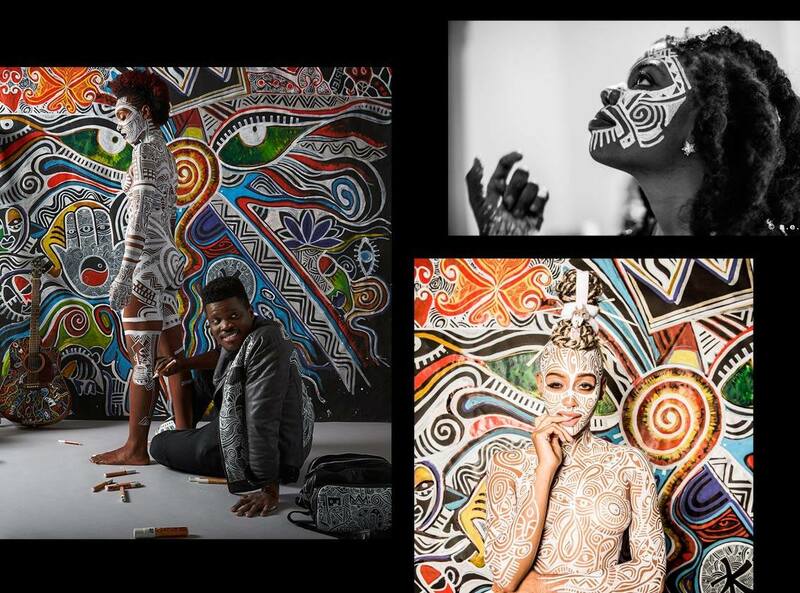 Through the efforts of Senbanjo the dancers body were covered with sacred ornaments. This sacred body art gave a fantastic effect, the mystery that fascinated. If we have called him only an artist or musician, we would not say much of his personality. He is a multifaceted person, trying to live in harmony in our complex world, and longs to improve it as much.